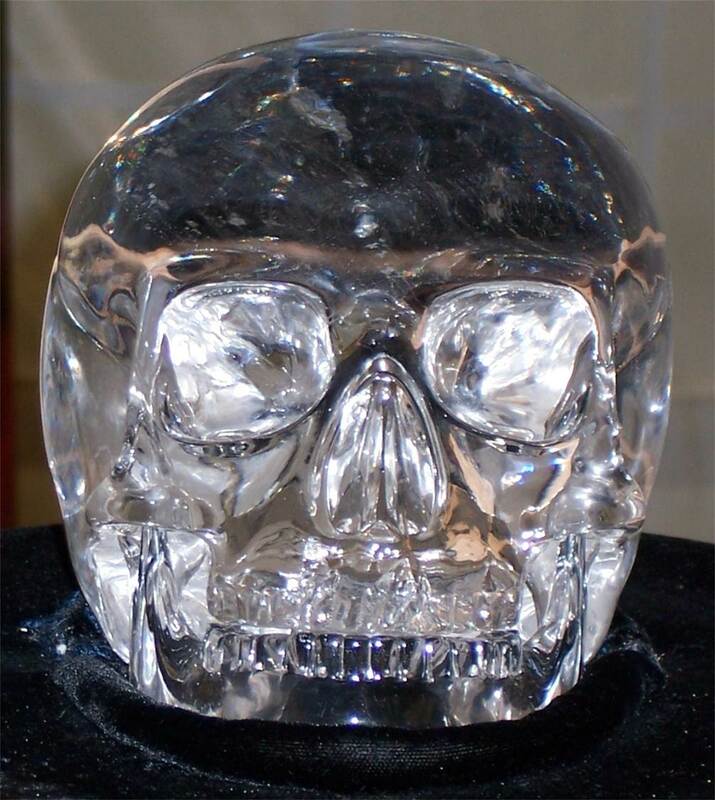 Say "hello" to what is called the Mitchell-Hedges Crystal Skull. It is called so because it belongs to the Mitchell-Hedges family. They claim to have found it in a Mayan pyramid in the early part of the 20th Century. Their story has been disputed, but that is irrelevant for our purposes. 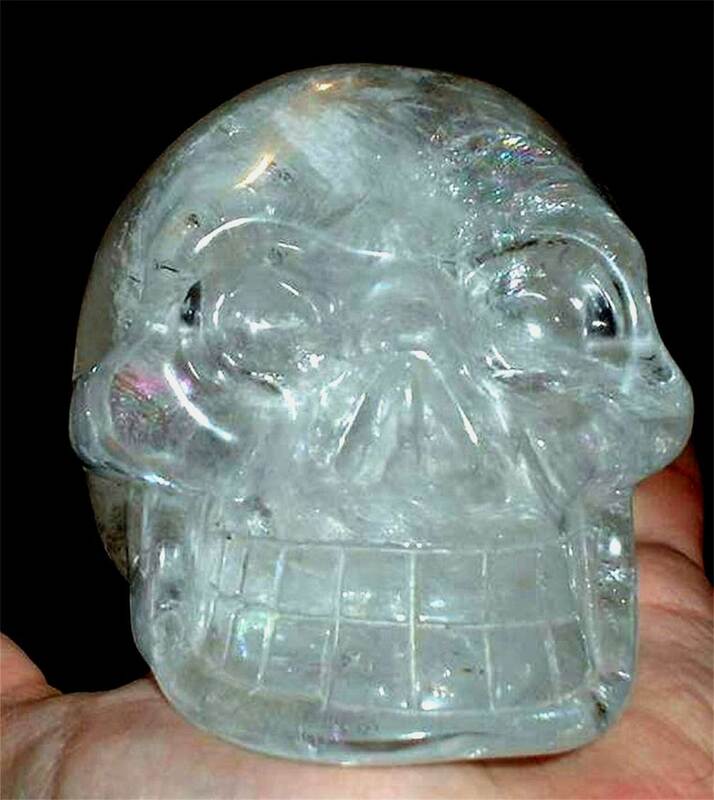 This crystal skull weighs around seven pounds and was carved from a single piece of rock crystal. It is in two pieces, the lower jaw or mandible being a separate piece as it would be on a real skull. I say "this crystal skull" because the skull image was very common in the Mayan culture and other Meso-American Native American cultures. 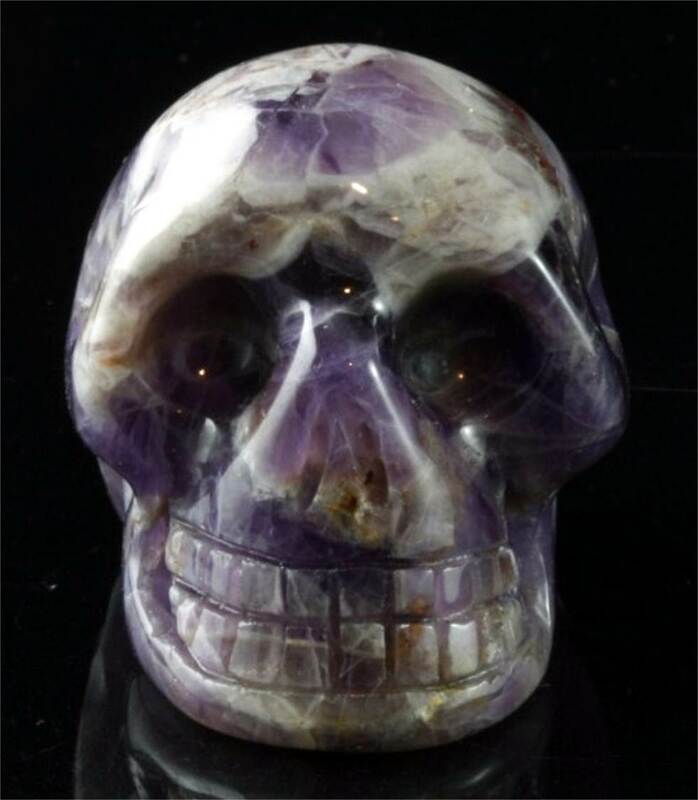 There are many other examples of carved skulls in a variety of other materials beside crystal - rose quartz, smoky quartz, topaz, others. They are decidedly different, however, as you can see. They are all simpler in design, more stylized and composed of a single piece. 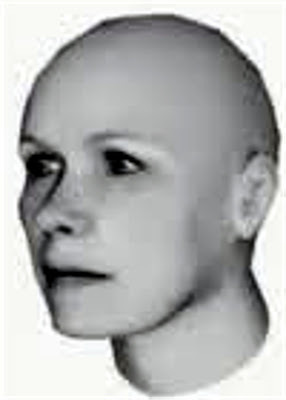 The Mitchell-Hedges skull, by contrast is almost completely anatomically accurate. The only real deviation from the norm is the lack of suture lines, the places on the skull where the plates fuse together in infancy to make a solid dome over the brain. This artifact is so true to life that forensic anthropologists have been able to do a reconstruction of the face for this skull. It is based on the skull of a young woman. The thing that is even more interesting than the verisimilitude of the shape are the technical features of the artifact. In the 1980's, the M-H crystal skull was subjected to a full round of testing in the Hewlett-Packard technical labs. 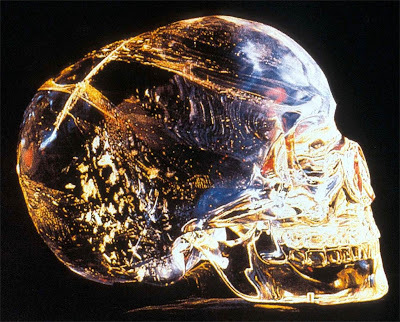 While Darwinian anthropologists confidently propound the theory that the skull was produced by careful polishing of the surface with hot sand, microscopic analysis does not show any markings or scratches on the surface of the skull anywhere except where the mandible attaches to the cranium. It is completely smooth. Calculations of the man-hours necessary to produce the skull by rubbing it with hot sand produces a figure of around 350 years. The most telling feature of all, though, is that nobody can explain how the Mitchell-Hedges crystal skull was produced. The hot sand theory is obviously untenable, so we won't even consider that further. 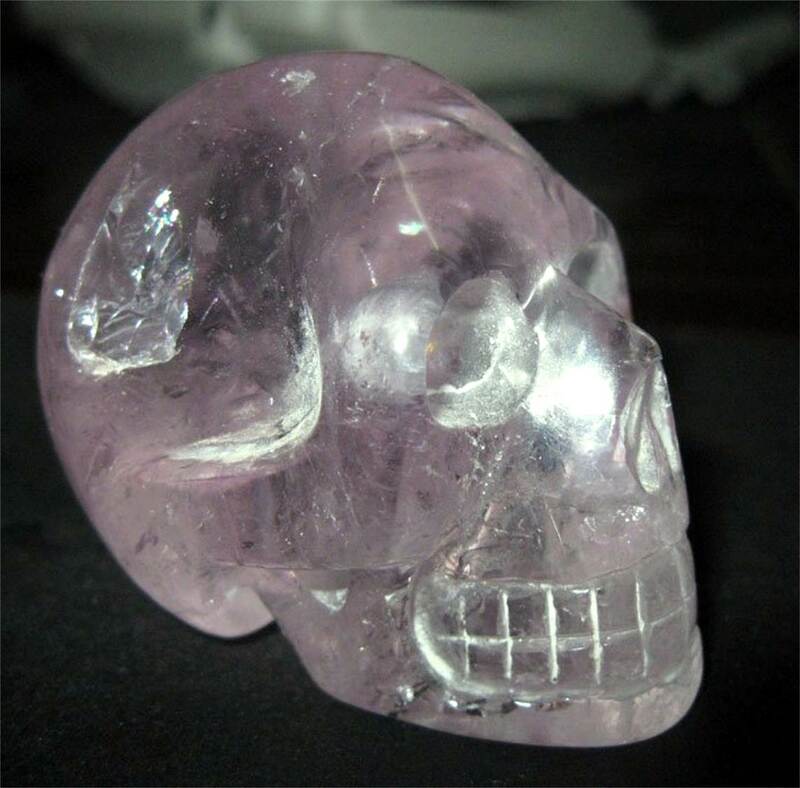 What is necessary to understand is that crystal (any crystal - quartz, diamond, ruby, whatever) is made up of a latticework of micro-crystals, all running in the same direction, side by side. In order to make any kind of cut in the crystal, you must do so "with the grain," so to speak. You have to break or cut it along the lines of the crystal structure. To try to make any sort of break or cut "across the grain" of the crystal with cause it to shatter. Always. Without exception. By way of perspective, jewelry cutters spend years learning how to cut diamonds and other crystal jewelry along the crystalline structure, so as not to shatter and ruin the stone. In the case of the M-H crystal skull, obviously the crystal has been cut across the grain in many places. 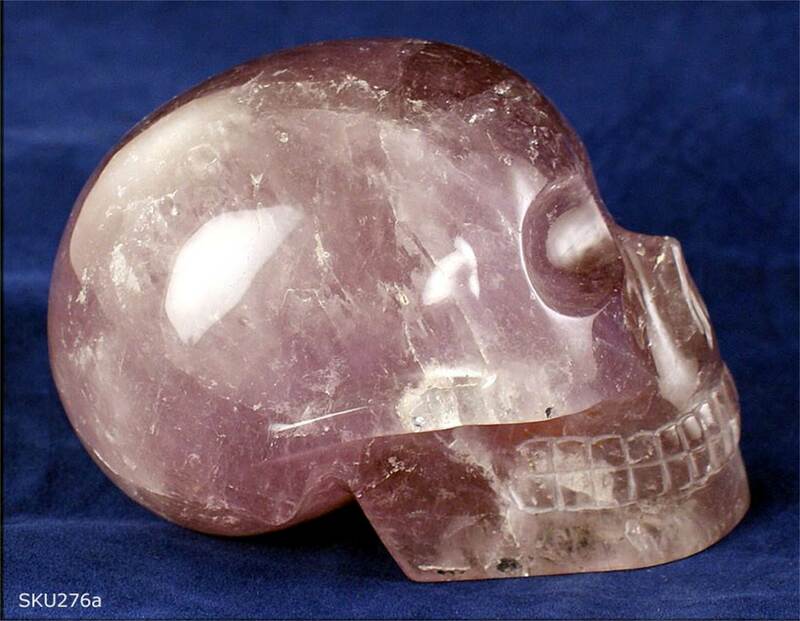 You can't make a curved surface, as exists in many places on the skull, without cutting across the grain. None of our modern technological techniques are capable of this. Not diamond saws and drills, not lasers, not ultrasonic drills, not hydropressure cutters. All of these things would cause the crystal to shatter the minute they tried to cut across the grain. Let me rephrase that to make it clearer. 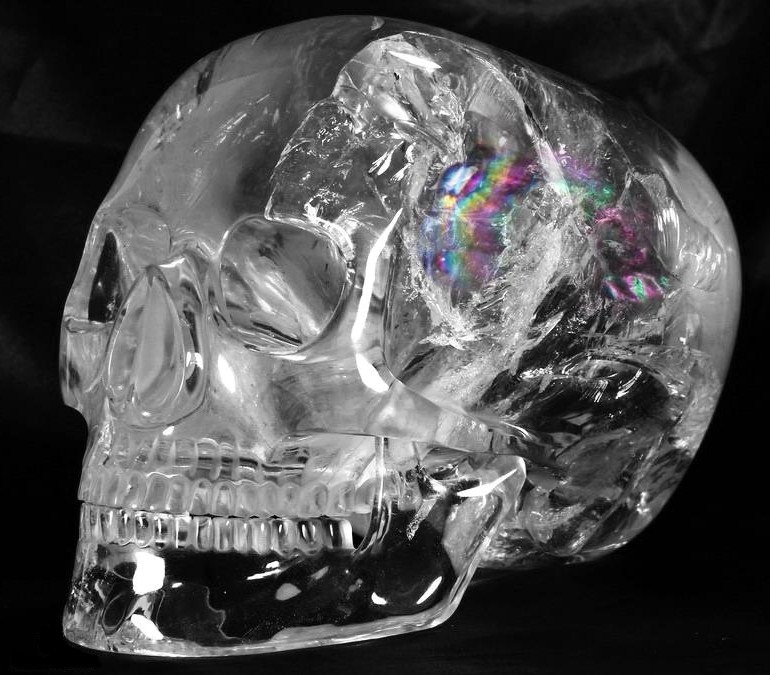 With all our lauded advanced technology, no one today can reproduce the Mitchell-Hedges crystal skull, or even tell you how it was done. This artifact was produced thousands of years ago.